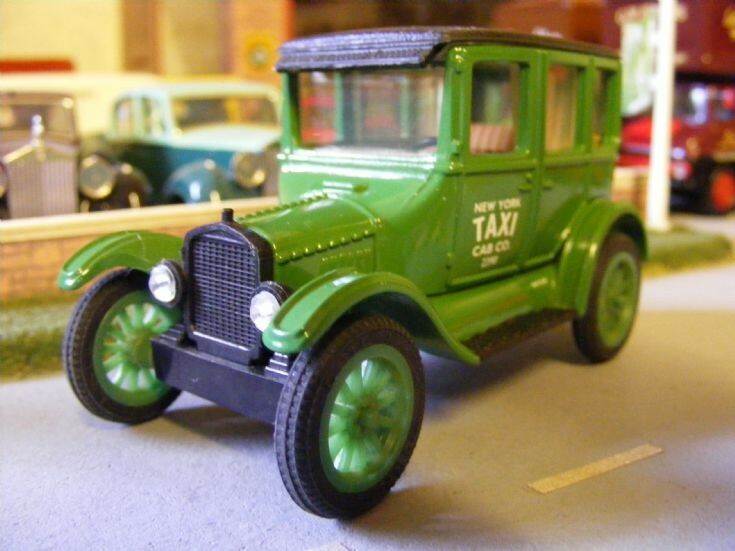 This robust Ford Model 'T' is liveried as a New York Taxi Cab. The ERTL 1:43rd scale model is being detailed with correct running boards colour added and lenses to the headlights applied. It is now just awaiting period License Plates and additional paint detailing.